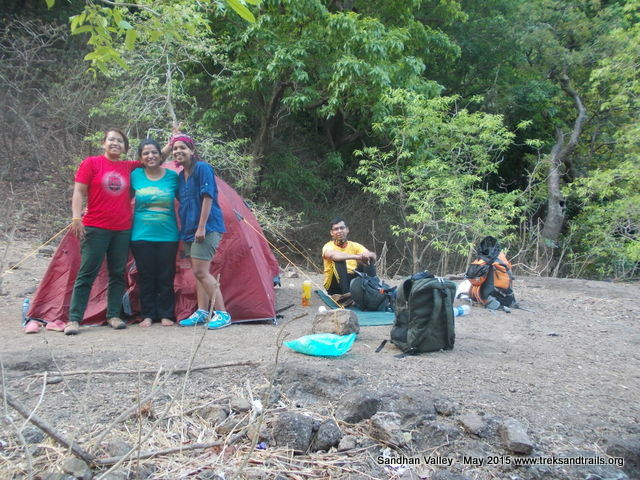 I am back from the Sandhan Valley Trek conducted by Treks and Trails and what an experience it was. For an occasional trekker like me, it was a tough trek by all means. Though, it was a small group of 6 (three guys and three girls) , we were fortunate to have 4 out of 6 trained in mountaineering course. The day began with sumptuous breakfast at Samrad Village and we were never short of simple delicious food throughout the trek, sometimes cooked and sometimes raw am talking about the Karvanda berries and mangoes :-)) that we had on our way. We ended our trek with another simply made lunch at Dehne village and I was touched by all the simple people we met on the way, always smiling and eager to help. Treks and Trails was fantastic we never had a dull moment. It was thanks to them and the team that kept me motivated even when I was exhausted. Together they took great care to make the trek as comfortable as possible. Not to forget the support of the locals who helped with the rappelling and also serving us delicious food with scarce resources. Wading through knee deep water, negotiating tough boulders, crouching through caves, hanging in the air and gingerly stepping on to edges using fingers were some of the things that kept me on my toes literally. 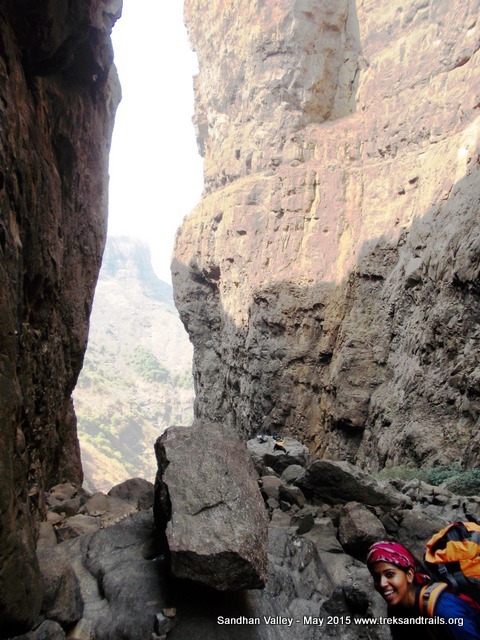 This trek made me more aware of myself and made full use my limbs, from head to toe. After all the hard work, lying down on the rocks, gazing the stars in the night, waking up to birds chirping in the morning was the ultimate reward one could get and it was a truly memorable experience. We were never short of adventure what with freak lightning and rain in the middle of night where all six of us huddled in one solitary tent and we couldn't stop cracking jokes. Mercifully, the rain stopped and we had a good night sleep ready to start the day afresh. 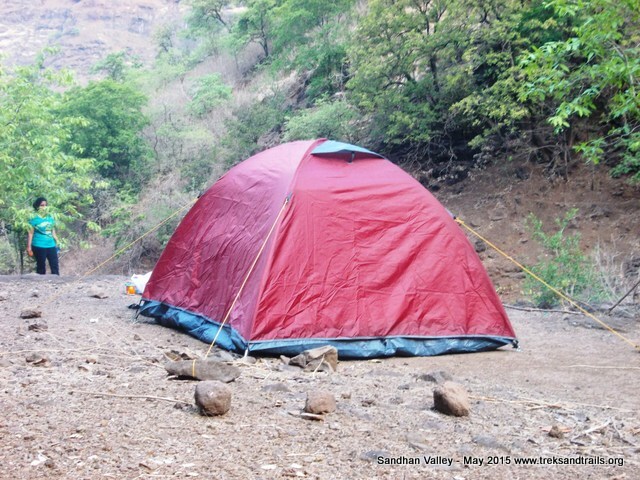 As for the experience, Sandhan Valley is truly the Great Canyon of India and nature at its best. 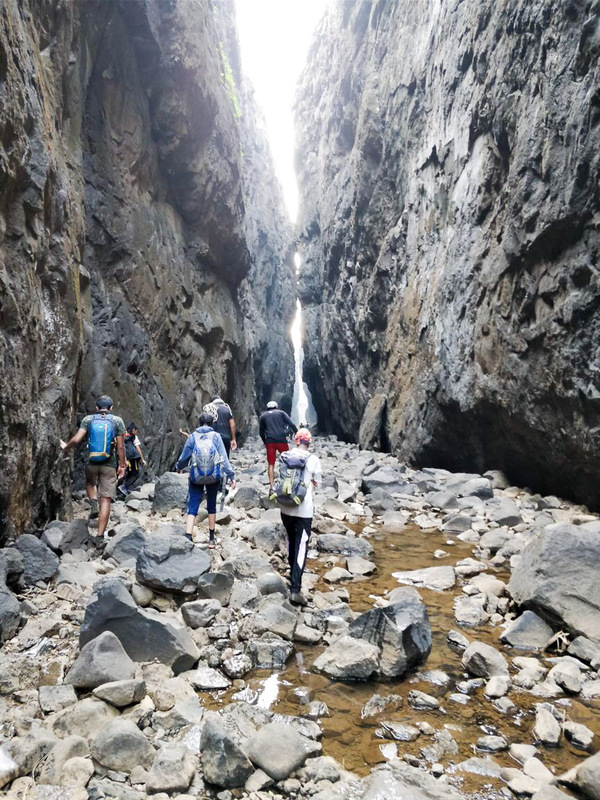 I hope that everyone gets to know about such wonderful places and for trekkers, this should certainly figure in their list of must-do treks for its uniqueness. 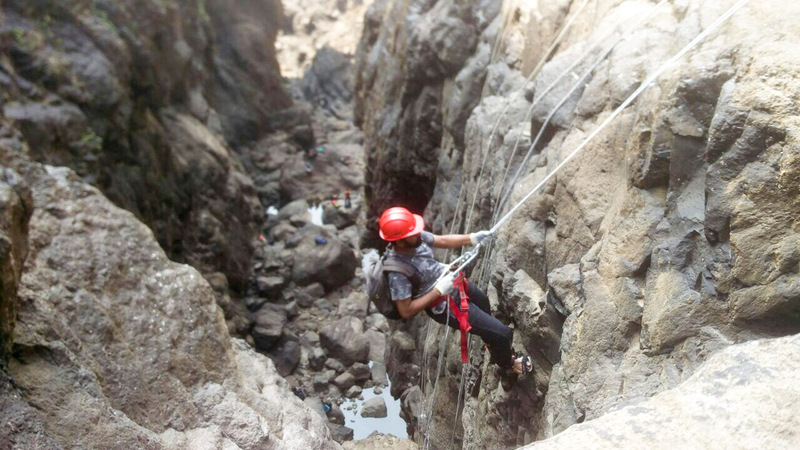 This was the second time I participated in an event organised by Treks and Trails and undoubtedly they are amongst the best in the business. They provide you with experience worth the money and much more. Wish to thank the entire team for this truly memorable experience and hope to join them again for future events too.